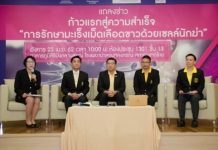 Work to submerge power and utility cables along North Road will be completed in December, Pattaya officials said. 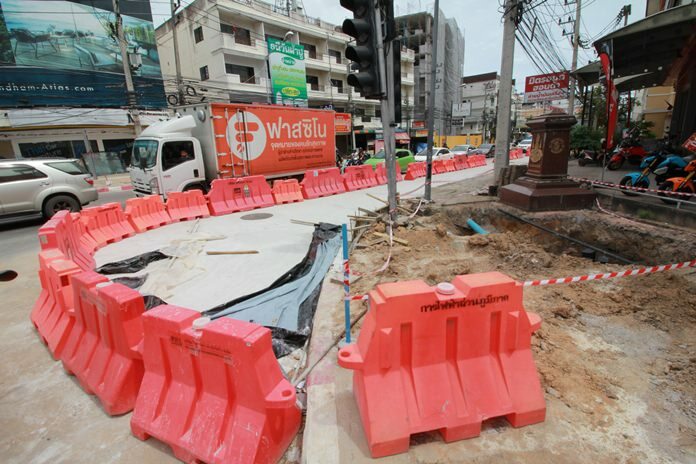 Work to submerge all power and utility cables above North Road will be completed in December, Pattaya officials said. City spokesman Pinit Maneerat said Aug. 30 that only a section around Third Road remains, with workers pouring concrete in front of the Mitayon motorcycle showroom. Once the roadway is firmed, the street will be reopened, probably by Dec. 18. 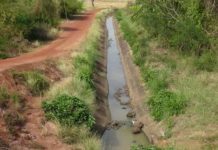 Burapa Technical Engineering Co. began work on Christmas Day under a 230.4-million-baht project slated to finish on Feb. 27, 2019. The workers are far ahead of schedule. 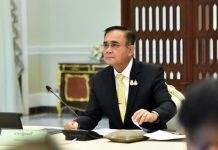 Provincial Electricity Authority construction chief Thanu Surachaisikawith said the sinking conduit pipes, manholes and wiring required the demolition of road surfaces, but work is now 90 percent complete.